SailingJulian - Looking for sailing opportunities within or close to europe! Looking for sailing opportunities within or close to europe! 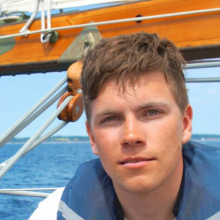 Hello everybody, My name is Julian, I´m a 20 years old engineering student from northern Germany and currently on the lookout for a sailing opportunity in late summer/autumn 2019. I have some ~2800 nm sailing experience in the Baltic and North sea, including sailing in a watch system and at night. I have proven to be very reliable, persevering and seaworthy. I used to spend some weeks on a german sailtraining gaff-schooner during the last summers (e.g. participating in the Tall-Ships-Races), but now university schedule forces me to look for an alternative. I´m looking forward to new experiences on a different vessel, happy about establishing new connections within the sailing community and having a good time!